https://www.facebook.com/events/815999862110237/ Red Dragon – Brown Ale American – will be on tap at the manor 4-25-19 6-9pmWhen this happens, it’s usually because the owner only shared it with a small group of people, changed who can see it or it’s been deleted. 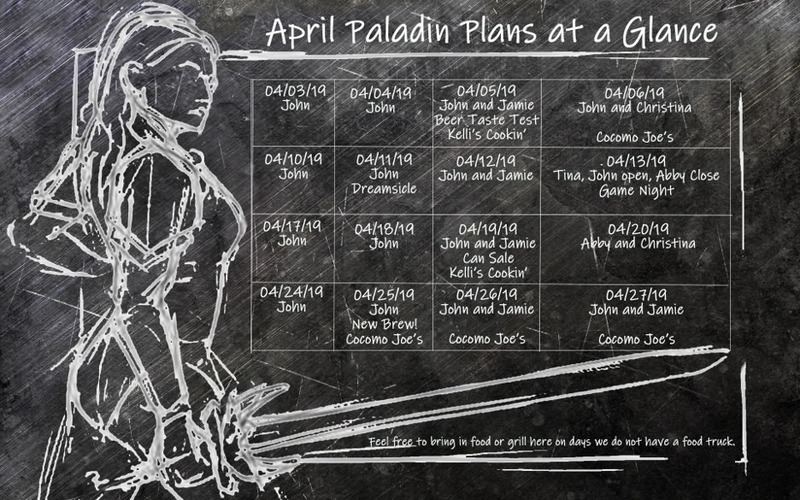 Come out to magic tree in Boardman to support Abby as she reads bad Paladin reviews! Lots of local craft beer including Paladin will be on tap. How was your Easter? Show us your favorite pic from the day! Here’s our little ones getting their Easter Baskets. We have great reason to celebrate! Hoppy Easter everyone! !